If most of the past Russian laws for online censorship were shotgun blasts, the newest Russian law is an “internet censorship nuke”. And it looks like the nuke has just landed. From now on, the Russian government can make it a crime to “disrespect” the state on the internet. This law is put into effect to stop “fake news” and quell any anti-government conversation. 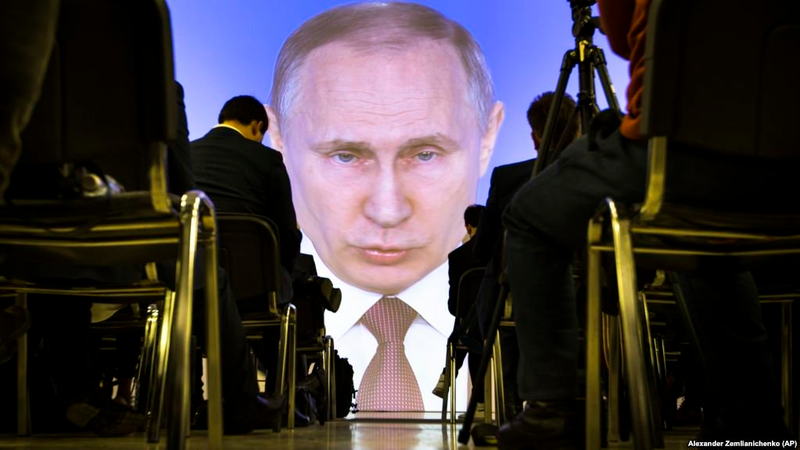 The laws put forward were overwhelmingly supported in the Russian parliament just two months ago, and since then, there has been heavy criticism from Russian citizens and free speech advocates claiming that the law is vague and that it sets a dangerous precedent moving forward. If a user spreads information on line that the government doesn’t like, they can be jailed and fined. If a company or news outlets spreads information, they could be faced with fines up to $22,000. We’ve seen similar censorship and practices absolutely demolish free speech in China–which has not only affected how the population views history (since a lot of it is censored and deleted), but also how they perceive the world (since international content is blocked from viewing) and now it looks like Russia is almost on the same path. The Russian government denies that the new laws fall under the category of censorship. However, we’ve already seen in the past that Russia is not only following other countries that attempt to censor and control the internet, it is almost leading the charge–following perhaps behind China. And it’s widely acknowledged that China’s “Great Firewall” internet is a beacon of extreme censorship, but do you think anyone in a government position would define it that way? We don’t think so. They would probably call it “fake news”.